Looking for an abundance of wildlife accessible as a day trip from Kota Kinabalu? Join our afternoon trip to the Klias wetlands—one of the best spots on the west coast of Sabah to see Proboscis monkeys in their natural habitat! 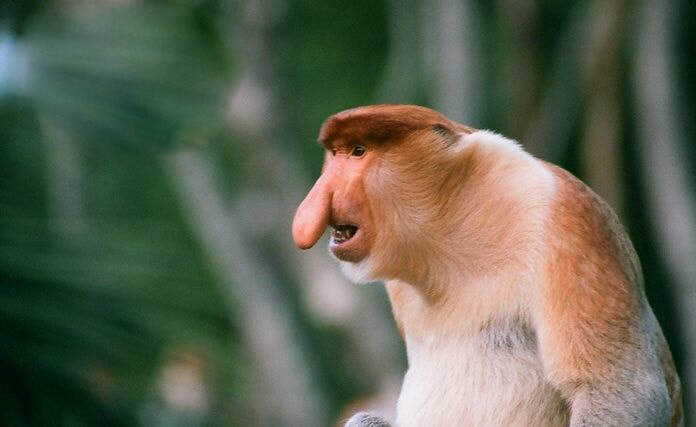 Besides having the opportunity to see the Proboscis Monkey in the wild, you may also get the chance to see a variety of birds, common Macaque Monkeys, Silver Langur and possibly Crocodiles. The scenic Klias River is located around 130km from Kota Kinabalu and takes around 2 hours to reach by road. 1.30-2pm (dependant on location) Get picked-up from your hotel for a 2 hour journey to the Southwestern part of Sabah. Upon arrival, coffee & tea will be served with delicious locally made cake. 4pm – Board the comfortable fibreglass speedboat and cruise down the river for around 1hour 30mins in search of wildlife. Your guide will help you to spot macaques, crocodiles as well as the famous Proboscis Monkeys. Follow the longest boardwalk in the wetland area to return to the Base Camp for dinner. 6pm – Enjoy a scrumptious Malaysian style dinner served in the the lodge. Return to the river for a short cruise and catch a glimpse of fireflies slowly lighting up, decorating the mangrove trees and then lighting up the sky. Listen to the crickets singing while you walk back to the coach. 9 - 9.30pm – Estimated arrival back in Kota Kinabalu. ​Package Includes- Return transfer, English speaking guide, light refreshment, and dinner. Things to Bring- A bottle of water. Sunscreen, insect repellent, camera, cap/hat, light jacket and a sense of adventure.